Sibi Sathyaraj is now joining hands with director Dharanidharan of Jackson Durai fame and the project will be produced by Kaviya Mahesh of Auraa Cinemas. The movie will have Ramya Nambeesan as the female lead. Sibi will be seen playing the role of a forest officer in the movie which revolves around the story of protecting a man-eating tiger. This man animal conflict is quite a different genre which very few movies have only dealt with, for example, Kumki. This Production No: 4, untitled movie begun today with a formal pooja ceremony. More details on the project about its cast, crew and shooting plans are yet to be revealed. 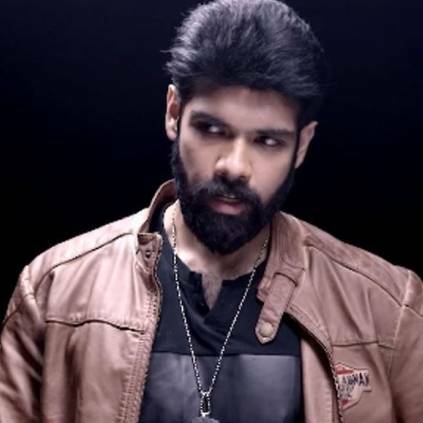 Sibi Sathyaraj was last seen in Sathya directed by Pradeep Krishnamoorthy which had Ramya Nambeesan and Varalaxmi in the lead roles. The film was received well by the critics and audiences. People looking for online information on Auraa Cinemas, Dharanidharan, Jackson Durai, Production No4, Sibiraj, Tiger will find this news story useful.